Water companies were stretched to the limit over this long, hot summer and face the triple challenge of increased water use, hotter weather and mains pipe leakages. The bleak prospect of water rationing continues to concentrate minds of planners, even as a little rain begins to return in scatterings across the country. Higher than average temperatures are forecast until October, continuing to stress the water supply. 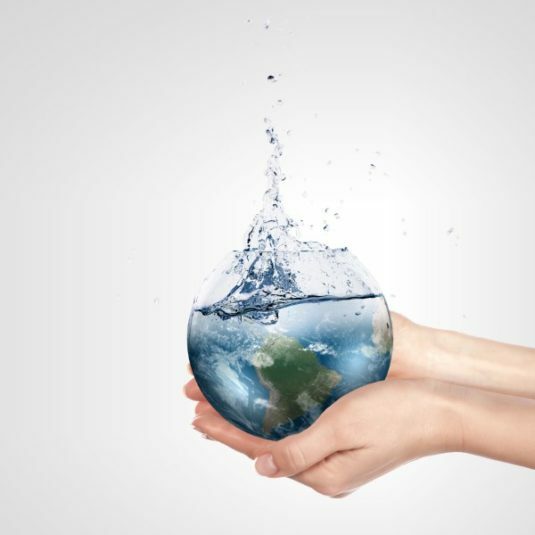 This has prompted some commentators to point to what happened in Cape Town at the end of last year as an alarm call for everyone in the UK to make every effort to use less water. Gareth Redmond-Hill, head of climate change at the WWF, wrote in the Evening Standard that South Africa’s second largest city was very close to complete shut off of its water supply. The residents, many reluctantly, eventually reduced their daily water use by half and avoided the threatened “day zero”. He warns that, without a radical change in the way we all use water, “day zero” could come to towns and cities in the UK, particularly in the South-East, which is the most water-stressed region in the country. His comments are echoed by the Environment Agency (EA), which emphasises the crucial need for people to use less water while utility companies need to curb leaks to prevent future shortages. Equally important, the mindful conservation of water also helps to limit damage to rivers and wildlife. The EA report warns that if reductions in consumption are not achieved, and water supply increased, most areas will not be able to meet demand. It reminds people that the UK population will grow to 58.5 million within only eight years, putting even more stress on supplies. It says that large amounts of water are wasted by households, where average use is 140 litres per person a day. Water volumes extracted for households, industry and agriculture is already unsustainable for more than a quarter (28%) of groundwater resources. Almost a fifth (18%) of surface water such as rivers have also seen unsustainable siphoning off of this increasingly precious resource. And Dr Jennifer Baker, head of engineering at the Institute of Mechanical Engineers warns that more frequent droughts, floods and superstorms will mean higher bills. Her recent report warns that water companies have to adapt to climate change by preparing for both drought and flood risks. Better water management by the utility companies, particularly in reducing mains water leaks, will help but Dr Baker also underlines that customers will need to change their behaviour too. Everyone can do their bit to avoid the catastrophic but avoidable water shut-off. In Cape Town, residents reported that they were limiting their daily showers to two minutes. This kind of behaviour change might be a big challenge for many but there is far easier way to cut water use in the daily bathroom routine – just fit an eco shower head. These mini marvels of engineering ensure that water use is reduced by 50% compared with standard showers, with no loss of comfort or efficiency. It makes no sense to continue wasting precious water in the shower every day when supplies are under such severe threat. The range of shower heads is wide and well worth the investment. See our range here. If you have any queries, just call 0333 123 5464 and one of our experience team will help you find exactly what you need.